The Office Safety Essentials DVD below can be used to train staff in computer operator safety and computer operator risks. 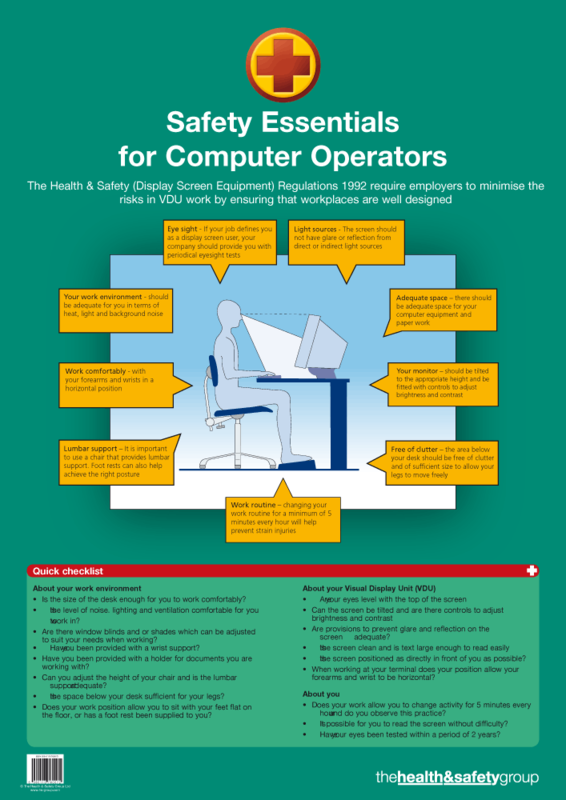 The Computer Operator Booklet contains summarised computer operator safety information and a computer operator safety self assessment! Buy these two items and complete you computer operator legal compliance!